Whether you are honeymooning or just having a romantic getaway, you will realize that there are a lot of romantic things to do in San Francisco. With its iconic landmarks, stunning vistas, and a smorgasbord of things to do, you and your sweetie will never run out of things to see and do in the City By the Bay. You won’t start and end your romantic vacation in San Francisco without viewing the iconic Golden Gate Bridge. View the bridge through the coin-operated telescope or your own binoculars. Take pictures and selfies with the famous bridge in the background. Even seeing the Golden Gate Bridge on a foggy day can nevertheless inspire romance! One of the favorite places that couples visit is the Conservatory of Flowers at the Golden Gate Park. The Victorian-era glass-and-wooden structure houses thousands of rare and exotic flowers and plants. This could be the most romantic spot in the park. After a visit to the Conservatory of Flowers, maybe your guy will take you to San Francisco Flower Mart and give you a lovely bouquet. Whether you both love a musical comedy or a thought-provoking, heart-wrenching drama, surprise him or her with a couple of tickets to a night of live theater entertainment at several venues in San Francisco. These include The Castro Theater, the American Conservatory Theater, and the Orpheum Theater. If you want a very memorable dinner, why not have it at the Mandarin Oriental Hotel Sky Bridge? While dining on delicious local cuisine you will also get to enjoy breathtaking views of the city and the bay, making your dinner truly romantic. Sweets for your sweet? Head to Choux Bakery for the artisanal choux French cream puffs or to Christopher Elbow Artisan Chocolates for chocolates and truffles that may give you extra energy for romance! A trip to the outskirts of San Francisco can be as interesting as visiting the city. A trip to the Wine Country like the Napa Valley and Sonoma Valley is surely to be a romantic experience! But if you want to view the idyllic Napa scene from a different perspective, ride a hot air balloon at sunrise! It will definitely set your heart aflutter as you view the beautiful neat rows of grapevines, the rolling hills and valleys, the occasional fog, and the rising sun…the whole scene makes a perfect setting for romance! 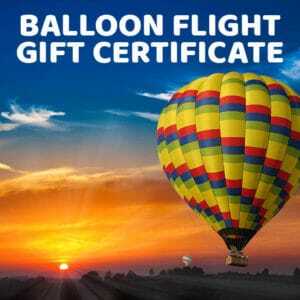 Balloons Above the Valley (BATV) will make your romantic ride come true! If you choose one of our packages — the San Francisco Balloon and Wine Tour Package — you will be able to enjoy wine tours in Napa and Sonoma, enjoy a picnic-style lunch in an idyllic setting at a winery, not to mention a sunrise hot air balloon flight and a champagne brunch! Or would you like the experience to be more intimate? You can choose the Exclusive Flights option where you can also enjoy your time together alone during the sunrise balloon flight (only the pilot will be in the basket with you) as well as a private table at the champagne brunch. There are a lot of romantic things to do in San Francisco and nearby– from seeing the Golden Gate Bridge to sampling its delicious cuisine and riding a hot air balloon above the valley. Make sure to put a check on San Francisco for your next romantic getaway!